BANKS, Robin and Kris NEEDS. Armagideon Times. Home / Books / Music / BANKS, Robin and Kris NEEDS. Armagideon Times. 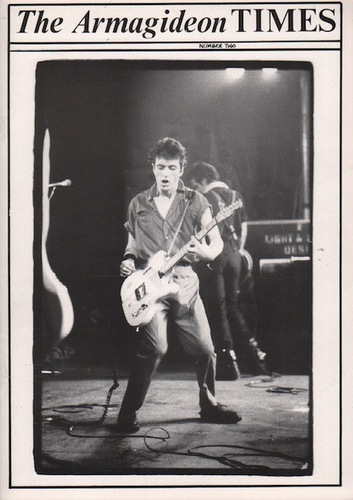 (London): The Clash, no date (1979/1980). First edition. Quarto. Issues one and two, all published. 20 and 24 pages. 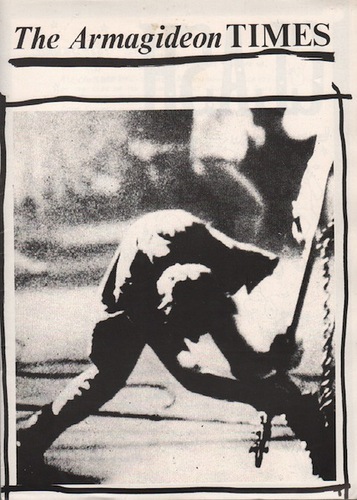 Original copies of the famous Clash fanzine, includes profile of band members artwork by the band, lyrics, articles, photomontages. Both copies in near fine condition.